"We recognise and welcome the newly elected Pakistan Prime Minister Imran Khan on taking the oath of office," US State Department Spokesperson Heather Nauert said in a statement. The US has said that it was looking forward to work with Pakistan's new civilian government to promote peace and prosperity in the country and in the region as it welcomed the swearing-in of Imran Khan as the new Prime Minister. 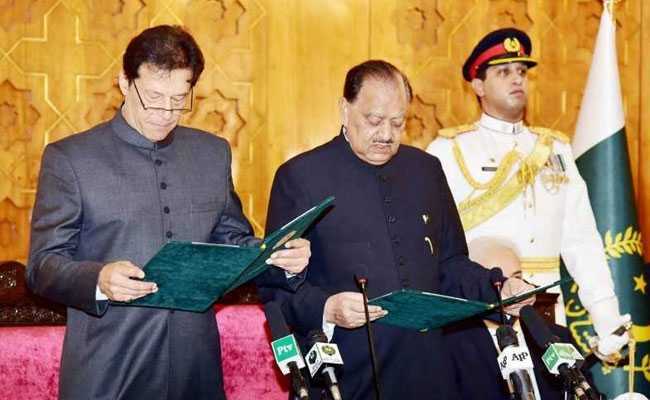 Imran Khan, 65, was sworn in as Pakistan's 22nd prime minister at a simple ceremony in Islamabad yesterday. "We recognise and welcome the newly elected Pakistan Prime Minister Imran Khan on taking the oath of office," State Department Spokesperson Heather Nauert said in a statement. It said that for over 70 years, the relationship between the US and Pakistan has been a vital one. The relations between Pakistan and the US nose-dived after President Donald Trump accused Islamabad of giving nothing to Washington but "lies and deceit" and providing "safe haven" to terrorists. The US Congress also passed a bill to slash Pakistan's defence aid to $150 million, significantly below the historic level of more than $1 billion per year. "The US looks forward to working with Pakistan's new civilian government to promote peace and prosperity in Pakistan and the region," it added. Meanwhile, Spokesperson for UN Secretary General Antonio Guterres, Stephane Dujarric, congratulated Khan on becoming Pakistan's Prime Minister. "The Secretary-General and the UN system looks forward to working with Khan in his new capacity as Prime Minister of Pakistan," Dujarric said.